DSLR (Digital Single Lens Reflex) is the choice of today for anyone interested in photography. It gives you complete control on the image you capture. The market is already flooded with the range of products from different vendors. This range is primarily divided based on the cost. As the cost increases, the number of features, functions and quality of the product also increases. But, this does not necessarily mean that a better camera model will give you a better output. You have to capture the image; your camera will only assist you. Now, the problem in hand is how to choose a D-SLR camera. What are the main points to be considered? Purpose: The clarity of purpose of buying a DSLR is most important step to start your journey as photographer. If you are buying just because you have some extra money or you think that you can take better pictures using DSLR or if you think that you can impress anyone by hanging a DSLR on your neck, then you are surely wrong. A DSLR will never serve your purpose this way. Buying a DSLR is just like buying a book of A B C D……You start your English learning with this book, then move to framing words, learning grammar, making sentences, writing stories and reciting poems (not all can reach at this level). Similarly, a DSLR will only enable you to understand the basics of manually controlling the light in an image. You have to take a long journey to become photographer. Budget: The second most important factor is your budget. Now, when you have decided to buy a DSLR, the first thing, which you have to evaluate is the amount you money you can spare for buying it. Remember that, apart from the camera, there are some extra accessories, such as extra battery, UV filter, extra memory card, etc, which will need around Rs 5000 – Rs 7000 extra. So, plan your budget accordingly. Level of understanding of Photography: If you are a beginner, then it is advisable to buy an entry level or mid ranged DSLR camera. Spending too much at the start (for e.g. on full frame camera) will not help much as you would not be able to take out the value for money before 2-3 yrs of intense photography learning. This suggestion is of course not applicable for those; you are not bothered for "value for money" and have enough money to buy any camera. In such case, go for a full frame camera and a professional quality lens. Technology of Camera: DSLR is famous for its inter-changeable lenses; i.e., we can change the lenses based on the requirement. However, we now have more options apart from DSLR, such as Single Lens Translucent (SLT) and Mirror less cameras, which also provide the benefit of changing lens. Different technologies have different benefits. The biggest benefit of SLT and Mirror less cameras is their less weight and small form factor, which makes it easy to carry. However, these technologies are still evolving and vendors do not have as good lens line up as we have for DSLR. But if the form factor (the size of the camera) and weight is your prime concern, then you can surely give it a thought. Camera vendor: Almost all vendors have some good and some average camera bodies. Reading reviews on different websites can give you fairly good idea about the benefits of a camera body; however, do not decide your vendor based only on the camera body. It must also be based on the lens lineup and other accessories. Camera is one time investment, however, lens and accessories is an ongoing investment. A good optics is more helpful in enhancing your image compared to the camera body. Secondly, check for service centre availability and warranty periods. Camera Body: Investing in a solid body (magnesium alloy) will give your equipment a longer life. But, they cost more than low/medium ranged cameras. A proper care can ensure that even low/medium ranged cameras can have extended life. If you are planning to buy your DSLR for travel photography, where you need to travel to different climatic conditions, then it is advisable to buy a weather sealed body (i.e. a magnesium alloy body). These bodies are heavier than normal DSLR camera. Features: Every DSLR have different features. But there are certain features, which can affect your buying decision. Choose a camera, which have more number of focus points, higher ISO range, higher frames per second, higher megapixel (almost all the new DSLRs have fairly high megapixels, so not a huge point to worry about) and easy to navigate. Accessories: Check different accessories (Vendor product or third party products) compatible and available for your camera model. This may include third party lenses, remote release, external flash sync, etc. This will help you save money and make optimum use of your equipment. Where to buy: Buying camera from a genuine and reliable place is very important. Avoid buying from grey market. Camera is a highly technical device, so it is not possible to create a fake camera, but grey market products will not entitle you for the warranty. You may end up with a faulty product for which you cannot claim anything. Therefore, buy it from an authorized dealer of your country. Check prices online and ask for bundled price with lens, extra battery, extra memory, camera bag, UV filter, cleaning kit, etc. Generally, sellers do not reduce the price of the product much, but they can offer you extra accessories, which are very useful for you during your photographic journey. 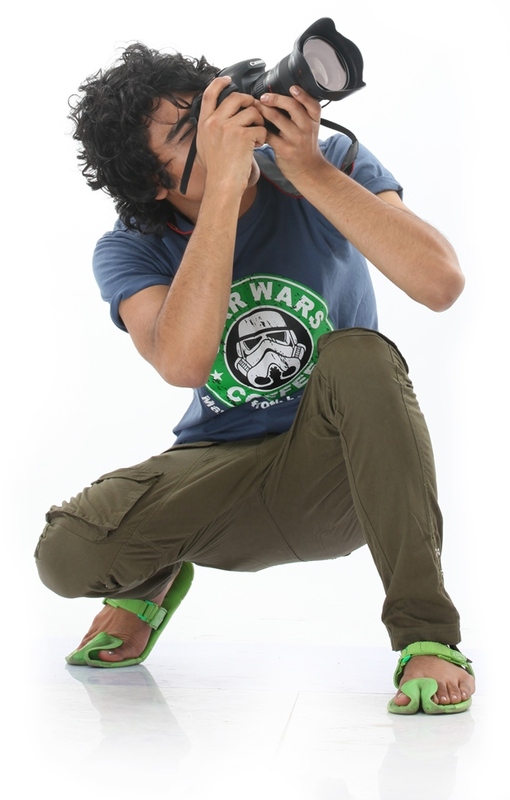 It is also advisable to physically experience the DSLR and its feature before placing an order. This can be done at any camera store, who displays the products for experience.